Just north of Busan, on South Korea’s east coast, lies Ulsan, a large metropolitan area with over 1 million residents. 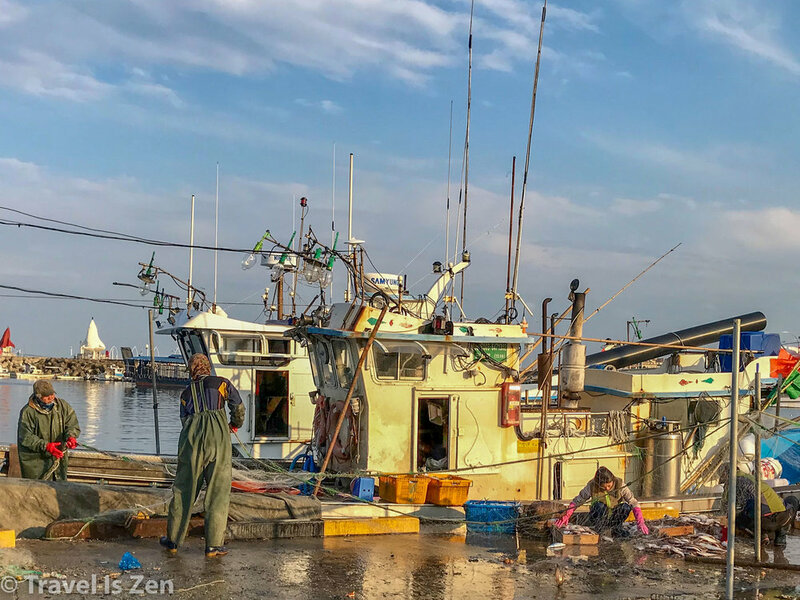 This lovely town straddling the banks of the grand Taehwa River and just a short drive from the East Sea is a hidden gem in Korea. It’s off the typical tourist radar, yet has so much to offer - especially if you love outdoor sports! Terrific cycling and running begin in Ulsan city center, along the Taehwan River paths. There are over 50 km of traffic-free, well-marked paved trails on both sides of the river, easily accessed from city center. Click here for a terrific Ulsan Cycling Guide. The paths are part of an extended park system, with ball fields, tennis courts, an archery zone, picnic areas, gardens, and even a water park. After your workout, make your way to the Taehwa River Grand Park, the central feature of the city. Grab a coffee at one of the many cafes lining the park and then follow the signs to the Bamboo Forest to enjoy a very green forest bath. The rustle of the bamboo leaves swaying in the breeze on this 2.5 mile trail is so relaxing! The city of Ulsan is surrounded by mountains. If hiking is your thing, Ulsan will not disappoint. Gaji Mountain is the tallest of seven majestic peaks that make up the Yeongnam Alps Mountain Region. Trailheads for popular hiking areas are accessible from Ulsan by bus. The Yeongnam Alps region is known for its tall swaying pampas grasses — acres of green in the summer turning golden in the fall. There are also several temples in the area, the most famous being Seoknamsa, a monastery run by nuns, which is also a popular trailhead for Gaji Mountain (take bus #807 or #1713. Click here or here for a terrific guide to hiking Mount Gaji. With so much to do in Ulsan, you will work up quite an appetite. Head to Gangdong Port by taxi or uber and stuff your belly with the freshest seafood available! It literally comes right off the boat. Worried about crab cracking etiquette? No worries! 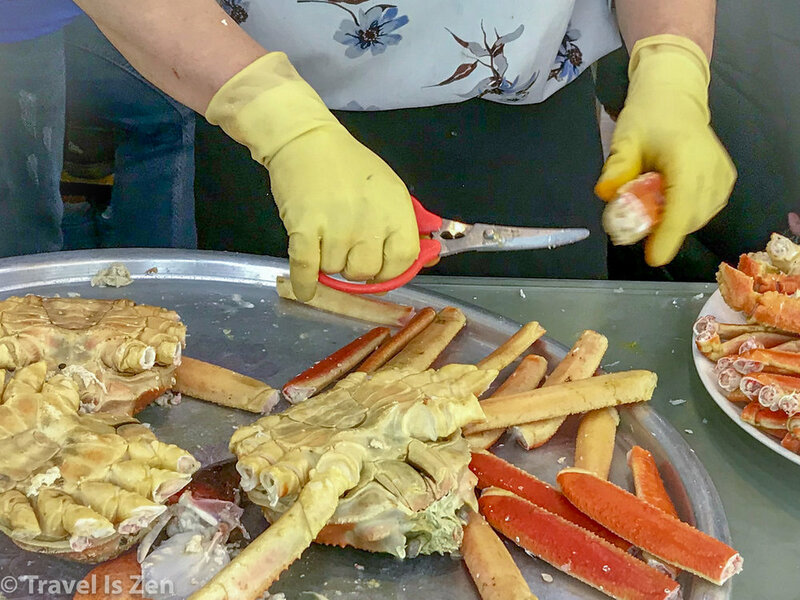 The waitresses at these restaurants are skilled experts, deftly snapping and dicing king crabs down to edible portion size in seconds.